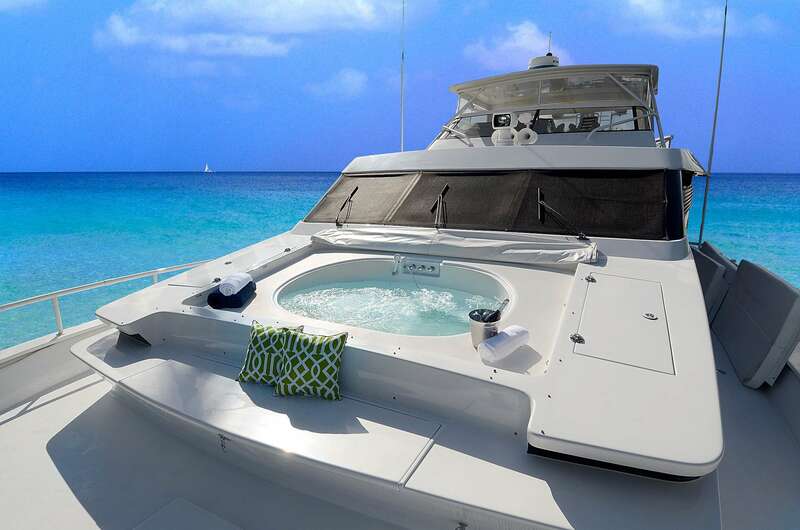 Welcome aboard SUITE LIFE, your private ALL-INCLUSIVE 92’ x 22’ (3,000 sq ft) floating luxury resort. She was completely refitted in 2016, however, as owner operators we continually improve and keep her fresh! 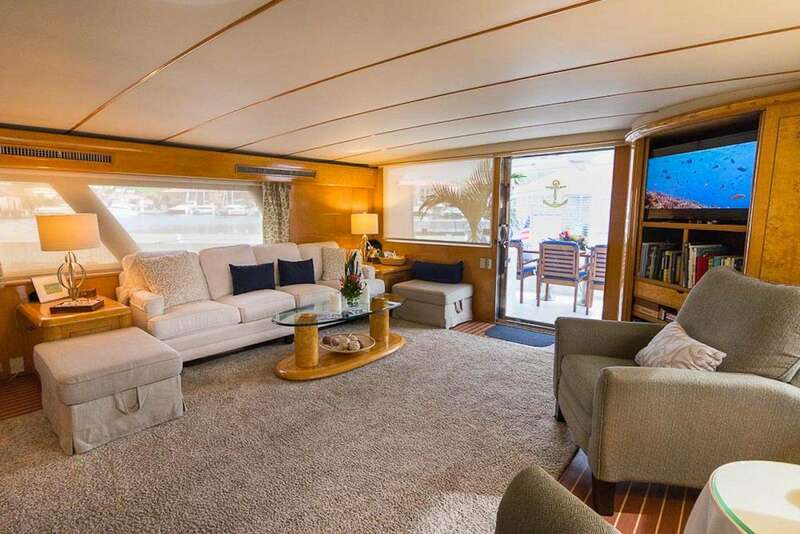 Suite Life has 4 staterooms, 5 baths, plus separate crew quarters, and accommodates up to 9 guests in air conditioned luxury. Her spacious layout offers 2 bars, 3 dining areas, a day head and an expansive salon for comfortable seating and movies on-demand. 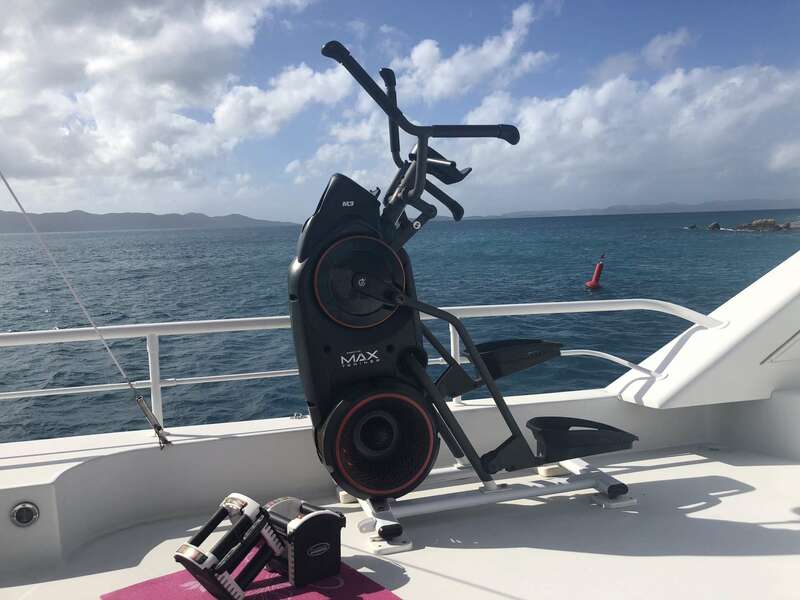 Gaze at a new sunrise every morning while you workout on the BowFlex elliptical or sip coffee in the aft alfresco teak dining area. Bask the day away relaxing on the upper deck lounges, over-sized bow sun pad, or if you prefer, snorkeling right off the expansive swim platform. End the day, toasting with champagne in the outdoor bow Jacuzzi. 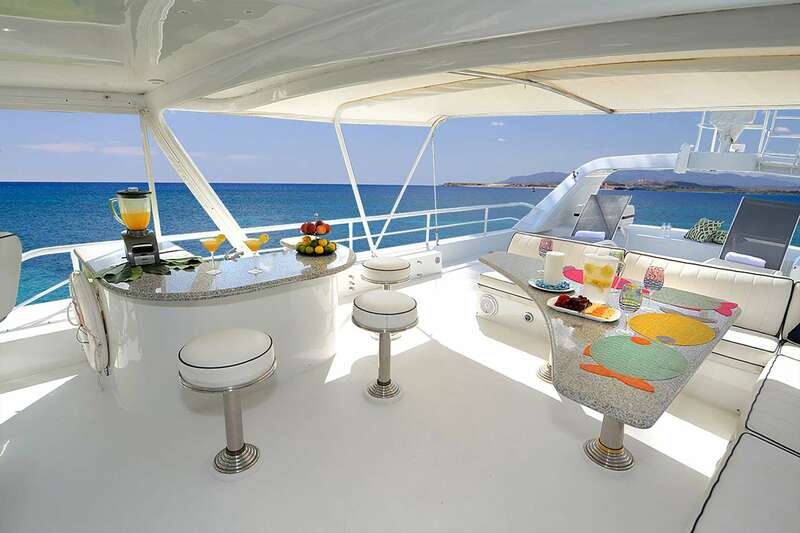 Suite Life’s luxury staterooms are all appointed with percale sheets, Egyptian cotton towels and robes to provide ultra comfort during guests private yacht charter. The Master Silver Palm Suite has a King bed, walk-in closet, security box, vanity table, sofa and master bathroom with full jacuzzi.The VIP Bay Rum Suite has a walk-around queen and walk-in closet. The port side Spice Berry Suite guest stateroom has a queen bed and large closet. 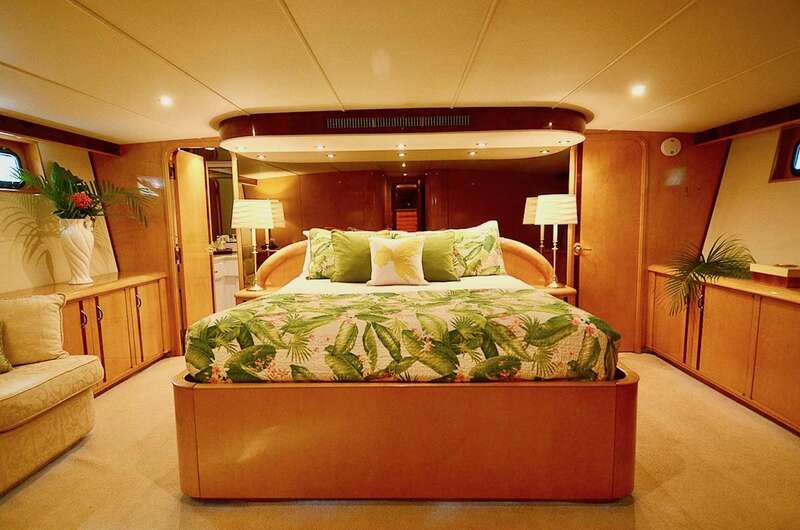 The starboard Wild Coral Suite guest stateroom has a full bed and twin. 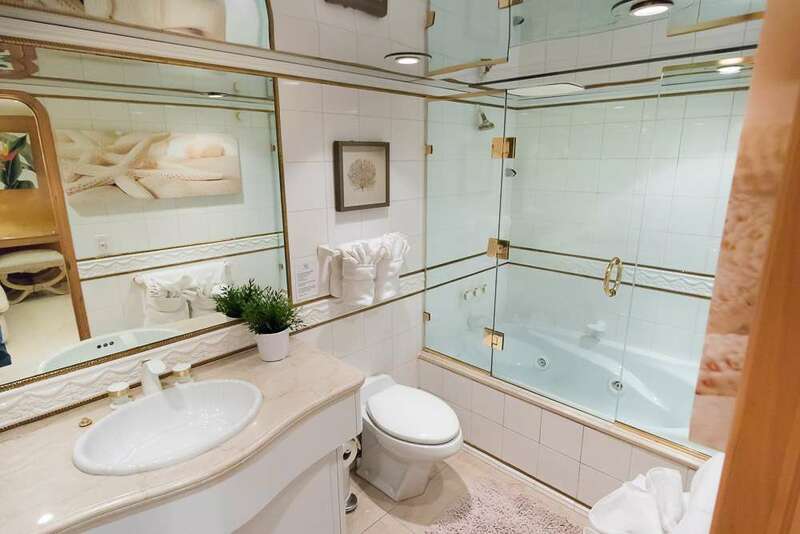 All staterooms have marbled en-suite bathrooms with enclosed showers. Each bedroom also has its own “smart” flat-screen televisions, with WiFi access, Bluetooth stereos and individual climate control, air conditioned 24/7. 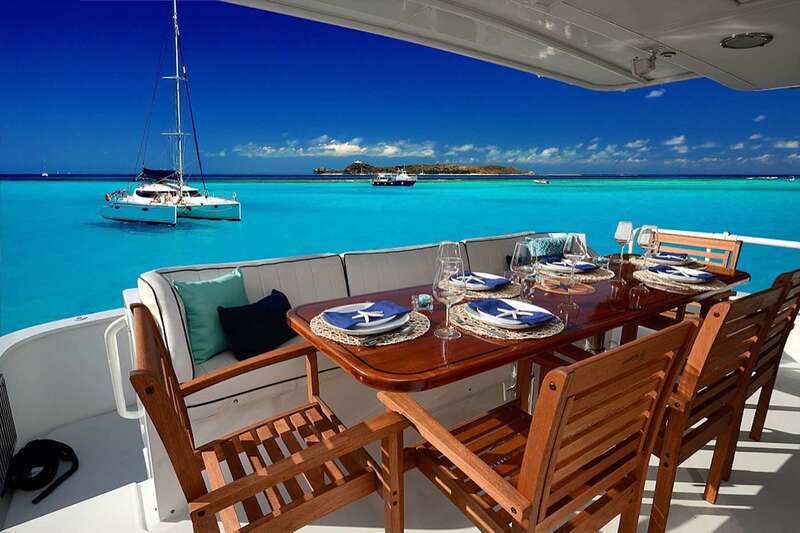 Suite Life’s professional, friendly and knowledgeable crew will show you the secret hidden treasures of the Virgin Islands few know about. We ensure our guests vacation is effortless, so sit back, relax and live the Suite Life. 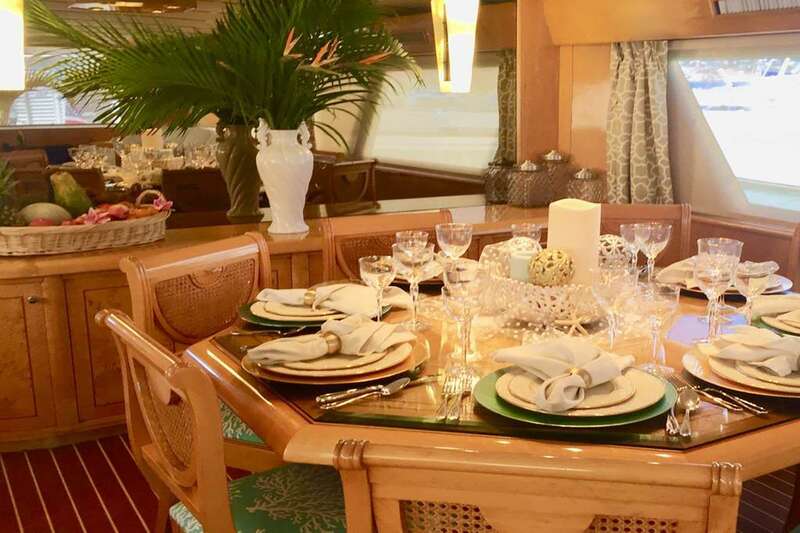 Suite Life has 4 staterooms, 5 baths, plus separate crew quarters, and accommodates up to 9 guests in air conditioned luxury. Her spacious layout offers 2 bars, 3 dining areas, a day head and an expansive salon for comfortable seating and movies on-demand. Separate crew quarters incl. 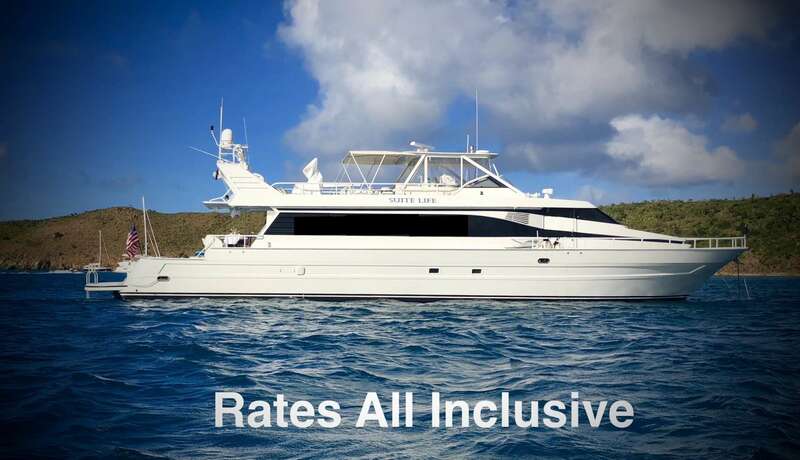 2 additional staterooms and head/shower.